You've trained your body—but what about your mind? Here is how to feel mentally strong during a race. During the buildup to a big race, it is natural get the butterflies in the stomach, but then think, It’s not so bad. It will hurt, but you are strong mentally right? You have been through the hard work in training. Besides, it’s a race, so you will be able to push harder anyway. You can just think of an inspiring video or a motivating quote. Yet when it comes to that moment when you are in the struggle of the race, and all you can think about is dropping out, those inspiring videos are blurry and unclear. That motivational quote is too long and complicated to remember. How do you switch your perspective to stay positive and keep pushing forward, especially as you stand on the start line, wondering why you signed up for this? Start with showing up prepared. Visualize every aspect of the race weeks in advance, and practice these techniques in training. But for one reason or another, sometimes we just don’t prepare, and suddenly it is race morning. Your body and muscles are ready, but your mind is not. What can you do to help your mind with the battle it is about to undergo against those mental demons? We cannot always remember our favorite quotes, or lines from a song, but we can often find a word or short phrase that we can repeat. I am not going to give you a list of words. You need to find that word yourself. It has to be something that is important to you. Maybe it reminds you of a struggle you went through, such as “pool running” if you spent lots of hours in the pool while your body healed. Or it could be the name of a loved one who you are dedicating the race to. This word will also change throughout your racing life. Right now, my word is BELIEVE. I need to believe in my strength, and remember how strong I am. Write that word on your arm in big letters. I like writing it on the inside of my forearm where I can see it out of the corner of my eye every time I swing my arm forwards. 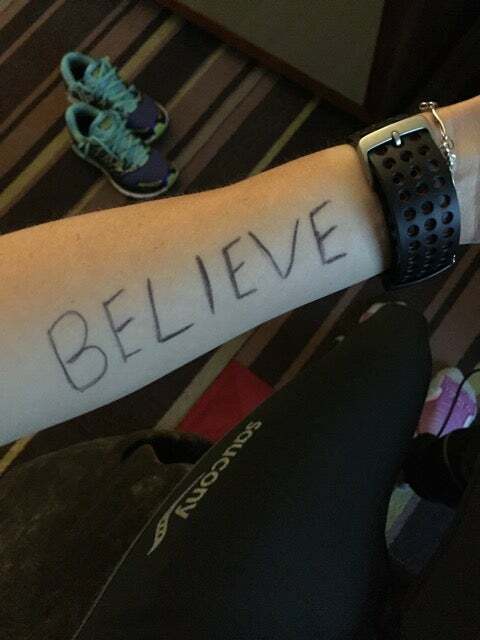 You could also write it on the top of your hand, or on your thumb so you see it when you start to clench your fist later in the race. You can also buy a momentum bracelet with your favorite quote—mine is Be Brave. Be Strong. Be You. It reminds me to take on the challenge. It is also easy to say quickly! It doesn’t really matter what it is or where you put it, as long as you can see it. Every time you notice it, remember that you will be able to make it through those rough times, even if you have to repeat it over and over in your head. Early in the race, when you are feeling pretty good and the crowd is cheering for you, it can be tough not to run faster than you intend to. That becomes a fatal flaw that gets us into trouble later when your body pays for your rookie error. During those early moments, I like to take a mental picture of the crowd at that moment and the words they are saying. Then imagine putting that enthusiasm and support in your pocket for later when you need it. Later in the race when those voices are telling you to slow down or quit, think of the crowd, take that energy back out of your pocket, and use it to fuel you forward. This helps me stay calm at the start, as I know I can “use” their energy later. It also helps to remember that people are good and want other runners to succeed. This is one of my favorite ones. During a race we are usually very down on ourselves. Why do I put myself through this? I can’t make it another 5 miles. Think of when you have cheered for friends. When watching your loved one run by, what would you tell them? If you saw your loved one struggling, how would you encourage them? You probably told them that they CAN do this, it WILL be worth it, and they ARE going to make it those last 5 miles. Tell yourself that. We always say love yourself the way you love others. Well now is that time. You need that love, and its time to give it. This one is for later in the race, when things really get hard. I mean like the last quarter of the race, when you have exhausted all your positive quotes and you can no longer see the crowd. All that matters is just how far away you are from the finish. This is when I like to bring in counting. Start counting in your head—backwards if you can. This will distract your mind from the pain (a little), and allow you to concentrate on another task, rather than how much it is hurting. 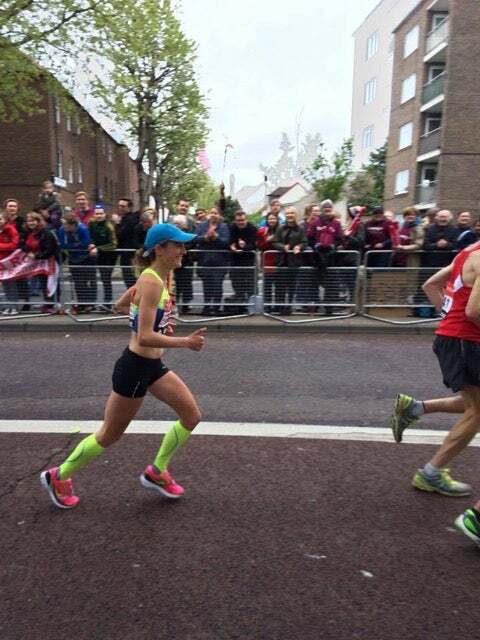 Paula Radcliffe used this method when she was on her way to breaking the world record in the marathon. 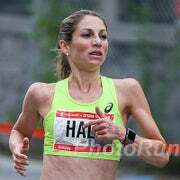 If it is good enough for the best female marathoner in the world, it is good enough for you! Remember when mother nature was cruel to you during marathon training and you were trapped indoors for days, confined to doing your long run on the treadmill? Or when your shins hurt so bad, you had to become friendly with the spin bike for a while? Think back to a workout where you struggled. Thinking that how your hard work would be well worth it on race day got you through those moments. Remind yourself that you did not go through those struggles for nothing. You got through that, and now you are gong to get through race day. Only today, at the finish, there will be a big celebration waiting for you, rather than just a cool down. Today is why you pushed through those hard days. You did not go through those hard days to give up now.